Turns out my wet suit practice swim wasn’t necessary, since the water temp was 80. Normally this would evoke feelings of distress in me, but I was fine with it. With a swim that short I would rather not have to deal with it anyway. That’s something I never thought I’d say! I got in for a very short warm-up swim, before I realized we were going to be delayed half an hour, but was feeling pretty calm. Thanks to the nasty storms that passed through the area the previous night, the race crew had quite the task of rebuilding the transition, and making the course safe enough to race on. What a great job they did – no one was going to complain about the slight delay! I wasn’t expecting to have a “good” swim, but I really didn’t want my first swim in 3 years (to the month) to be a total failure. So I decided to focus on staying calm and swimming steady. And it worked! It probably had a lot to do with the fact that it was so short, but I was able to stay calm and smooth throughout (although not fast), and it was a real boost. Time to hop on the bike and play catch up. Of course I had no idea how many women were in front of me, and with duathletes on the course before us that made it even tougher. So I just rode and hoped for the best! 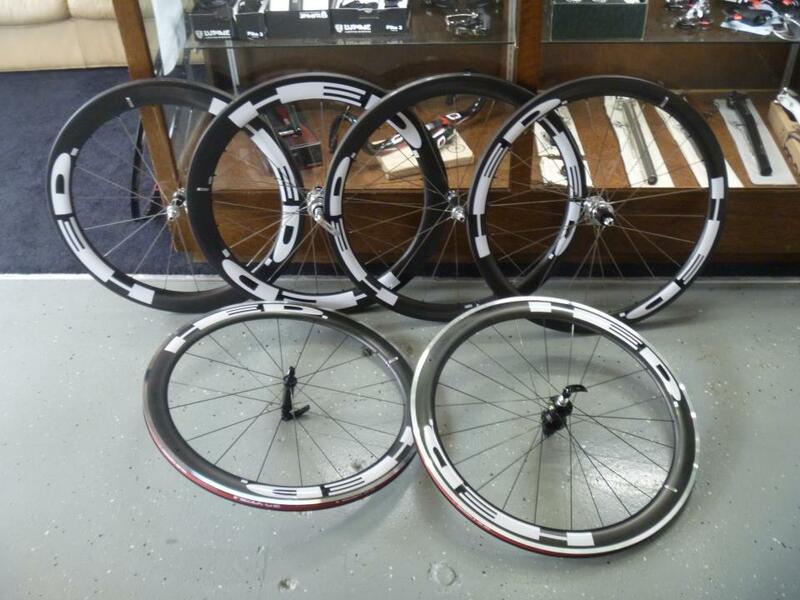 A HUGE thanks to Gretna Bikes for the awesome rental HED wheels to help me out on the bike – they were great!! Coming into T2 I was once again stuck behind someone who was in no hurry to move through the transition, but this wasn’t the kind of race where you get impatient over something like this. I embraced the delay and even took a few seconds to wipe some sand off my feet before slipping on my run shoes. These definitely weren’t fast transitions for me 😉 Heading out on the run I really noticed the heat, and even though I drank a lot on the bike, I was looking forward to the water stops! I still had no idea where I was position-wise, but soon enough I saw a female ahead of me who I was sure did the tri. She looked fast and strong, so I figured there couldn’t be many, if any, women ahead of her. I was anxious to catch her and pass her, but cautioned myself to be patient – I didn’t want to work so hard and catch her only to burn out in the last mile. Thank you Suzanne for keeping me running scared – awesome racing today! 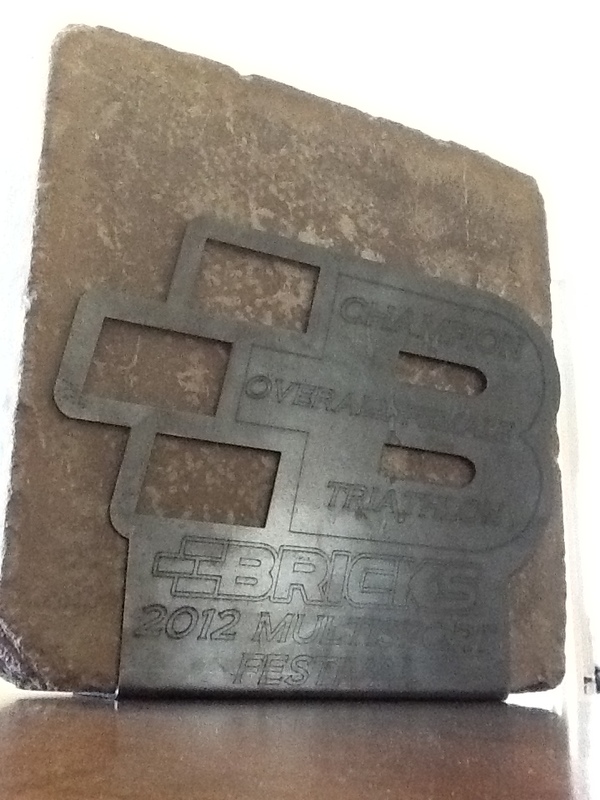 I’m not sure what to do with my brick – I’m open to suggestions 😉 But it’s definitely cool!